For a course in Prototyping User Experiences, I designed a built an app to explore and learn about works of art in a museum, along with my classmates Michael Katayama and Katie Koch. 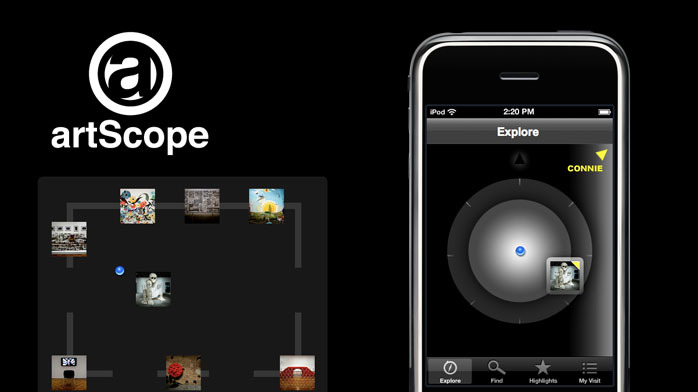 The app is intended to guide visitors through the museum to specific works of art. 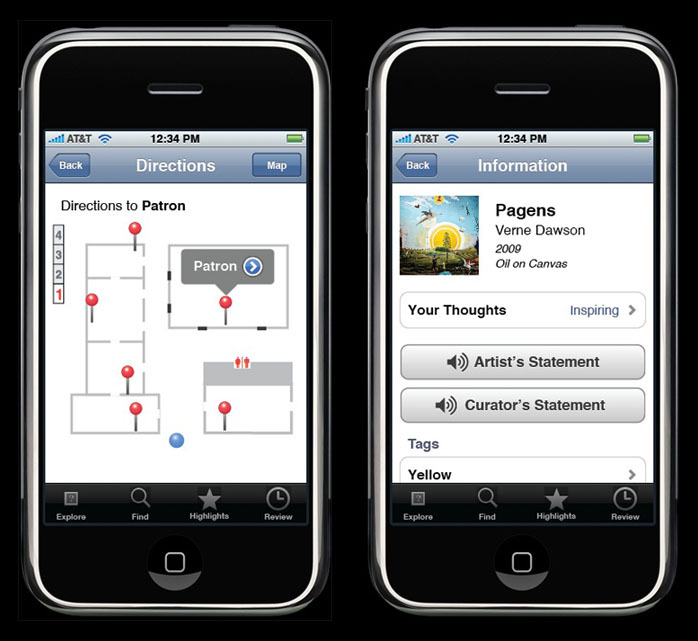 A compass shows nearby works of art, or it can provide directions to specified works. 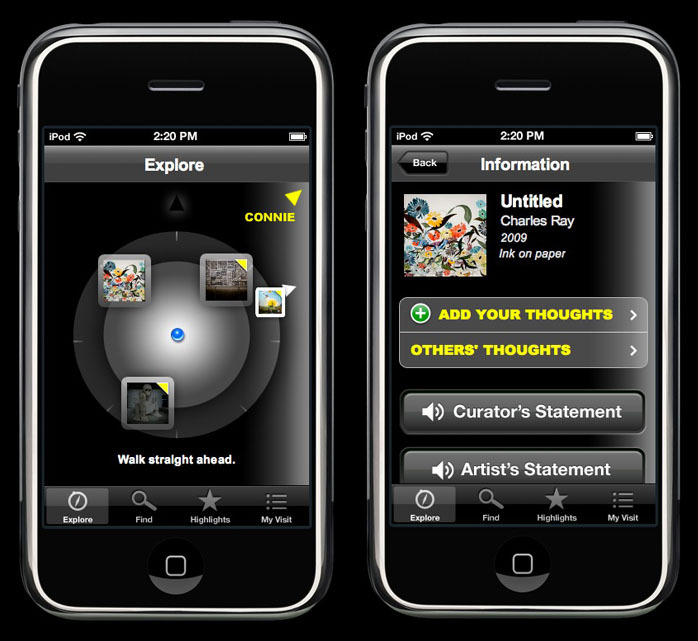 Visitors can leave comments and rate their feelings about each piece of art, or they can listen to curated audio content about each work. We prototyped several concepts of the idea. 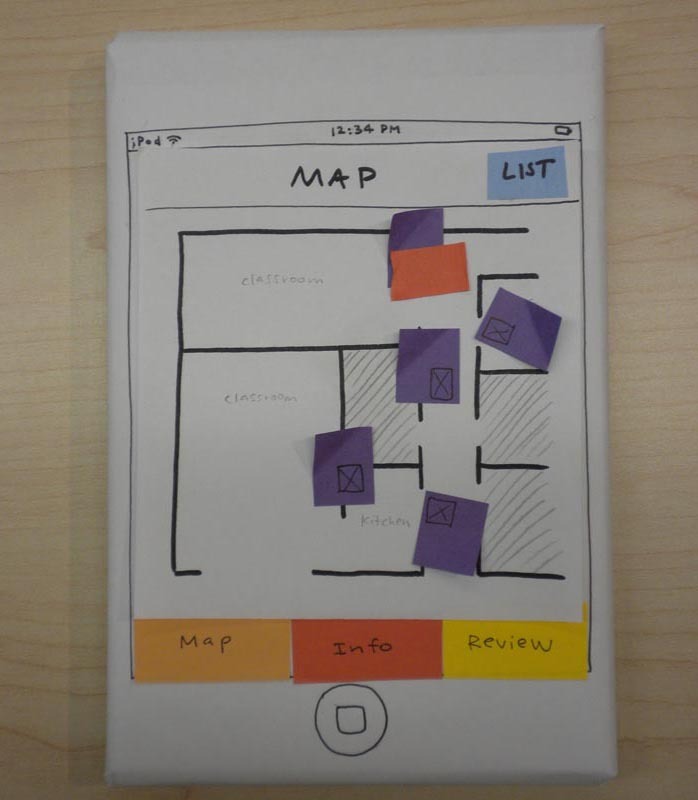 First we started with paper prototypes which we tested with several users. Later, we made wireframes to provide a framework for the visual design. We finished by making a Flash-based prototype, which is available here.